A struggling magician makes it big when he adds a ventriloquist shtick to his act. 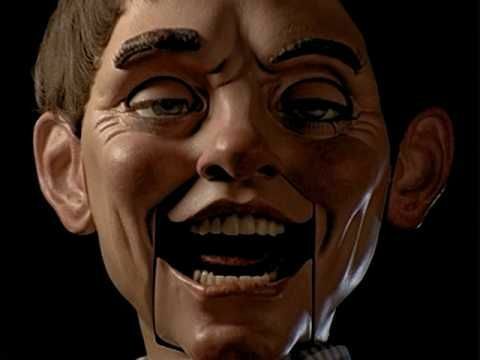 As time passes, he starts to lose himself as the dummy's personality begins to dominate his life. Just look at that horrible little ventriloquist doll in the picture above...it literally looks like it's up to no good. "Magic" is directed by Richard Attenborough, who has directed movies like "A Bridge Too Far," the Oscar-winning "Gandhi," and "Chaplin," though he may be more recognizable to some for his acting roles as Hammond in "Jurassic Park" and Santa Claus in the "Miracle of 34th Street" remake. The screenplay is written by William Goldman and is based on his own novel of the same name. The story focuses on a struggling magician named Corky (Anthony Hopkins). Despite his efforts, Corky has grappled to find an audience, that is, until he integrates a ventriloquist gimmick into his act. While he does magic, his dummy Fats (Anthony Hopkins) makes jokes, and the audience eats it up by the fistful. The only problem is the more time Corky spends doing his routine, the more the line between his and Fats' personalities gets blurred. While all this is going on, Corky is also trying to start a relationship with an old high school crush Peggy Ann (Ann-Margret), but Fats becomes a bigger and bigger problem as he takes on more of Corky's personality. 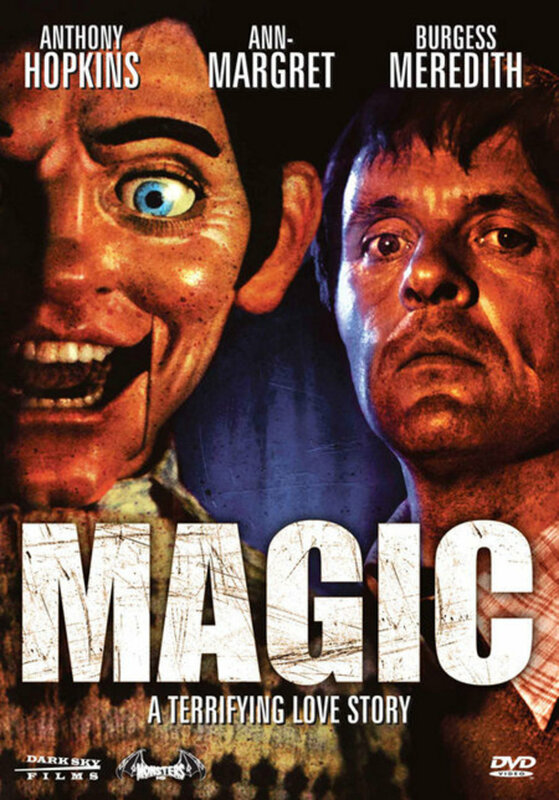 "Magic" is an old-school psychological horror film, which means much of it is a methodically paced drama with some horror elements sprinkled in here and there. It focuses on building characters and setting the stage for Corky's eventual psychological breakdown. We learn about his lifelong insecurities and how Fats helps him deal with those issues. Fats, however, is a manifestation of Corky's subconscious, which acts out his more animalistic impulses that control things like passion and rage. Anthony Hopkins is excellent as both Corky and Fats, dueling personalities who each get their moment to shine. 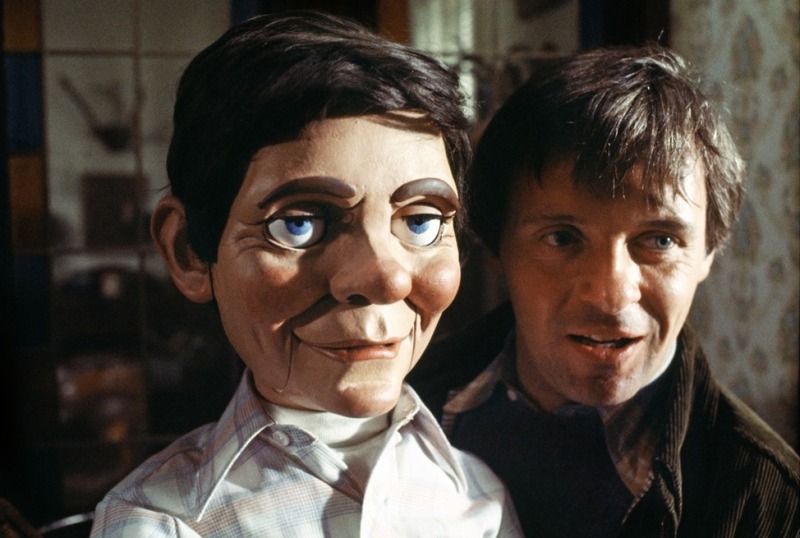 It is majorly impressive that Hopkins learned ventriloquism in his preparation for this role, so props to him for that. Hopkins elevates what would have otherwise been a stale production without his presence, but the movie still drags on for far too long even with him. It didn't keep us fully engaged throughout its entire runtime. As characters start getting killed off, we found our interest building. As Corky continues to unravel more and more into madness, allowing Fats to overtake every aspect of his personality, we found ourselves more invested in the story. These horror-related elements work very well, but they are few and far between. Magic aside, the drama of it all is what's really front and center here, and unfortunately, it has the tendency to bring the entire thing to a screeching halt. In the end, "Magic" is a decent watch, mainly to see Anthony Hopkins absolutely kill it (sometimes literally) as he descends into madness.